100% natural, tasty goodness in perfect, treat sized portions. By leaving out starchy grains means there is more room for great herbs, vegetables and nutritional seeds. 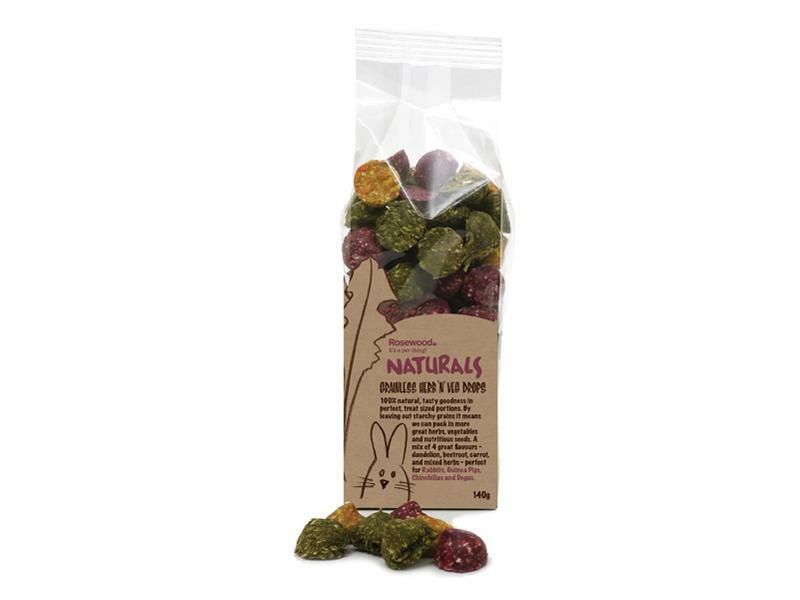 A mix of 4 great flavours - dandelions, beetroot, carrot and mixed herbs - perfect for Rabbits, Guinea Pigs, Chinchillas and Degus. There are currently no questions for Rosewood Naturals Grainless Herb 'n' Veg Drops - be the first to ask one!